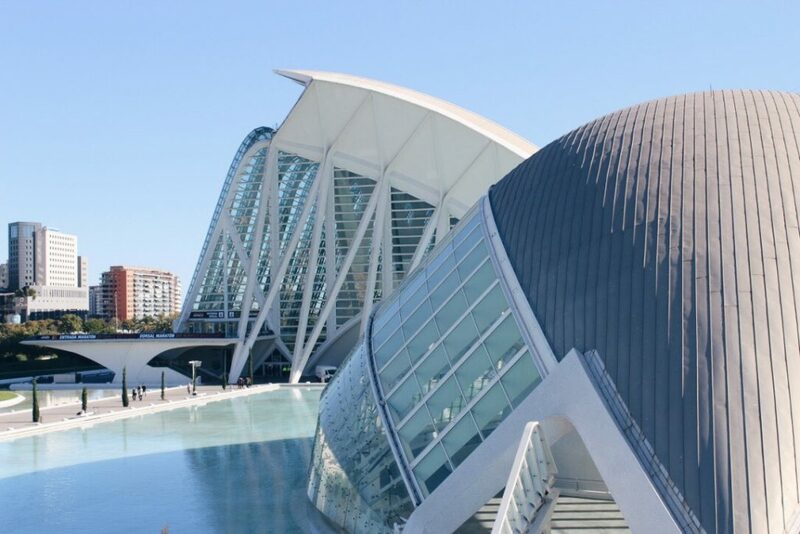 Are you planning on visiting Valencia for a short time? Maybe just for one day? Than keep on reading, because I made a nice route through Valencia with the best food spots and places to visit. I hope my tips will be useful! In the centre of Valencia, close to Plaza del Ayuntamiento, you can find Nuezcafé. Nuezcafé is always a good option. It’s a cosy and quiet place to enjoy a summer morning with a good breakfast or a winter afternoon with hot coffee. The typical Spanish breakfast consists of a fresh orange juice, a toast with tomato and olive oil (if you like something sweet: with jam) and coffee. Since I moved to Valencia, I eat this breakfast weekly. It’s just perfect! Mmmm fresh juices, salads, sandwiches and more you can get at Zummsalads. My boyfriend and I always like to come here. We usually come here for lunch and we like to order a self-composed salad with the sandwich Little Italy and the Good Morning juice. For coffee and cake lovers Dulce de Leche is the place to be. It will be hard to make a choice because they offer a lot of amazing looking pastries. Besides sweet treats, you can also take sandwiches and fresh juices. It’s a very popular spot in Ruzafa, so don’t be surprised to find a waiting line! For more popular coffee bars in Ruzafa you can read my post: 8 x the best coffee bars in Ruzafa. A nice route to walk is starting at Plaza de Toros (the bullring). I have never been to a bullfight, but I have been inside the building. A lot of concerts and other events are being organized in this building and I can tell you, that’s pretty cool! 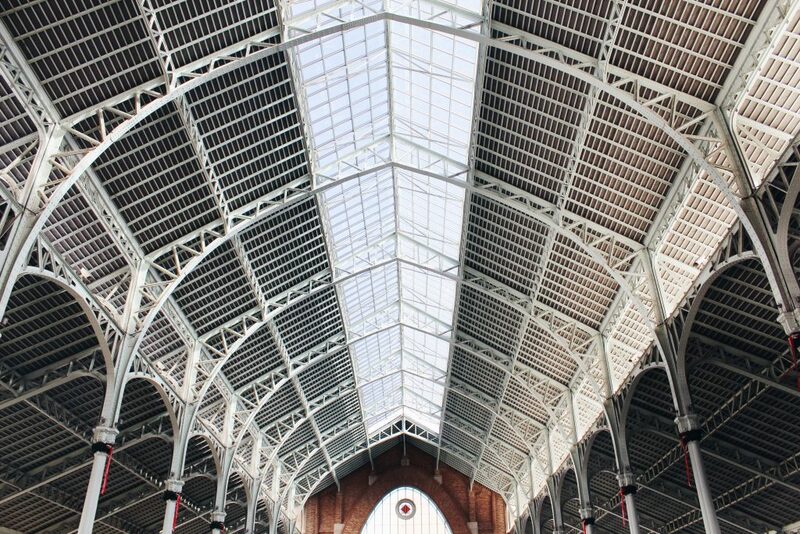 Next to the bullring you can find the train station of Valencia: Estación del Norte from 1851. Pay attention particullary to the beautiful details on the facade of the building with oranges, flowers and orange blossom. Continue along the Plaza Ayuntamiento, the Town Hall Square, with the Town Hall on the left and the beautiful post office on the right. From the Town Hall Square you walk to one of the most popular places to visit in Valencia: Mercado Central. 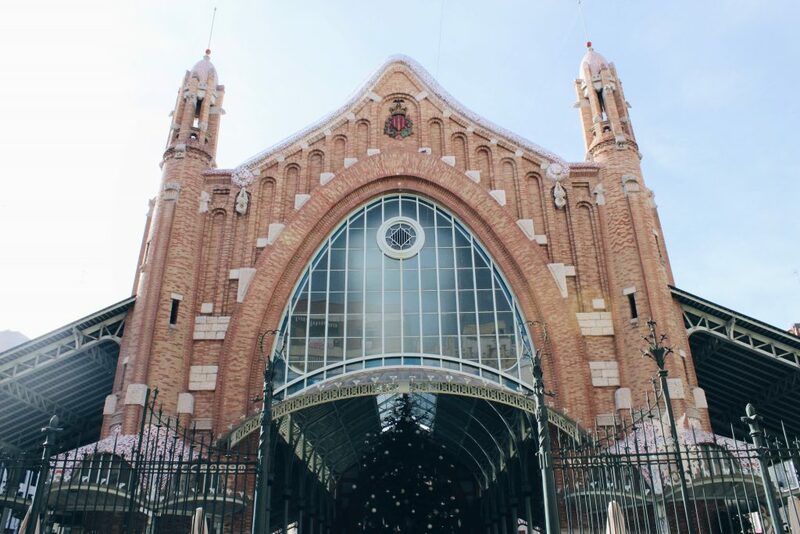 This is the largest covered food market in Europe. 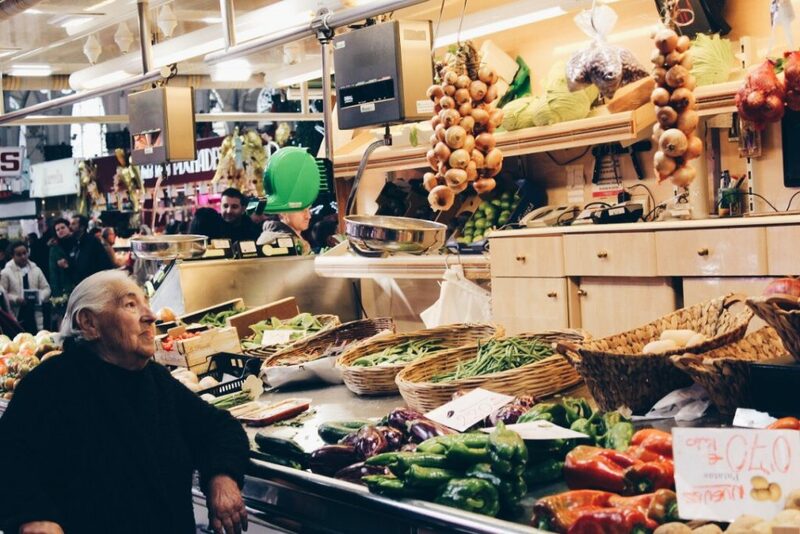 Taste the typical Valencian drink Horchata, a tasty slice of Spanish jamón ibérico or just walk around and see how the inhabitants of Valencia do their food shopping. From the market you continue the route to Plaza Tossal. Don’t forget to take a look at La Lonja. This is a very important building for the Valencian residents. This is the fifteenth-century silk fair of Valencia. Plaza Tossal is a famous spot for the late hours. You can go for a dance at Bolseria, or a little further at Fox Congo in Calle Caballeros. At the end of Calle Caballeros you can find one of the most famous squares of Valencia: Plaza de la Virgen. This is also my favourite square in the city. Every time I come to this square I feel a moment of happiness. I love the atmosphere: people enjoying the sun, little children that give bread crumbs to pigeons, young students skating and so on. The square stands out because of its important sights: the Basilica of the Virgin Mary, the fountain that symbolizes the river Turia and of course the Cathedral of Valencia. Don’t forget to go see the square behind Plaza de la Virgen and at the front of the Cathedral you can find the famous square: Plaza de la Reina. 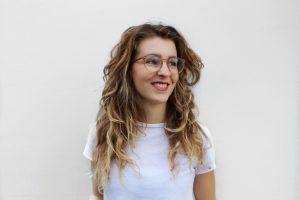 I discovered la Malaquita just a few months ago and it really surprised me. It’s located in the centre of the city, but just outside the very touristic places. I tried vegetarian croquettes, a salad with goat cheese and mozzarella and ham rolled in eggplant. It was all delicious! This is one of my favourites! Everyone that visited me in Valencia has been eating in Tinto Fino, because I just love it. I like everything: the service, the food, the atmosphere and how the place is decorated: very cosy! In my post: ‘Tinto Fino – one of my favourite restaurants in Valencia‘, you can read which tapas I recommend to order. If you are in the centre it’s a little bit far away, but it’s one of the oldest and best paella restaurants in Valencia. For the Spaniards it’s common to eat pealla for lunch, not for dinner. Therefore, all authentic Spanish paella restaurants like Casa Carmela are only opened in the afternoons. It’s a restaurant of all times: very big, with several rooms and a terrace, a little bit chaotic and full with families and groups with friends. Paella is made here in the traditional way: with wood fire which gives it a great flavor. Therefore it’s very popular amongst locals. And don’t forget to make a reservation! A must do in Valencia is cycling, because Valencia is the perfect city to cycle. It’s nice to start at Torres the Serranos: one of the historical city gates of Valencia. 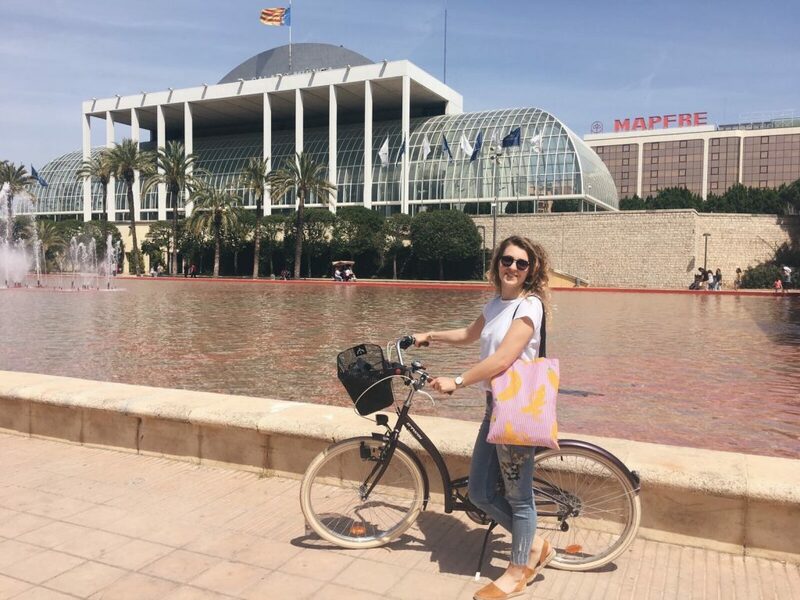 From there you cycle through the beautiful Turia Park that’s stretching over 9 kilometers! It’s built on the former riverbed of the Turia river. I love to come to the park to see the people enjoying their time outside. 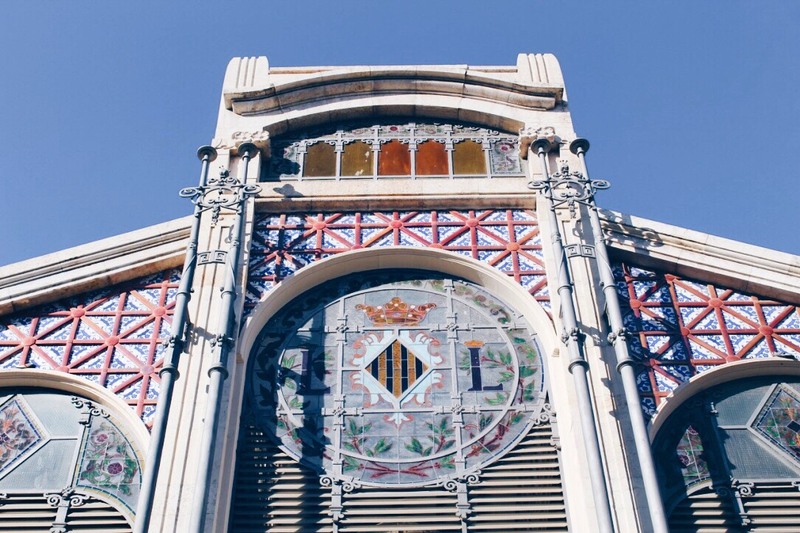 Must-sees in the park are Palau de La Musica, Gulliver Park and the City of Arts and Sciences. To go to the beach, you can best take Carrer the Menorca and turn right on Avinguda del Port. On the end of Avinguda del Port you will see the port of Valencia. For a coffee break in the sun you can go to Dos Lunas or Vlue Arribar. Do you prefer a cosy bar? Than I recommend to go to Bar La Paca or La Otra Parte. Dinner – Eat, drink, enjoy! Close to the beach you can find the neighbourhood I’m living in: Algiros. And in Algiros you can find the best tapas bar of Valencia (in my opinion). It’s tapas on a piece of bread, which is called ‘pinchos’. I have been in a lot of places in Valencia where they offer pinchos, but none of them is as good as Tanto Monta. It’s a very cosy typical Spanish bar with a very nice atmosphere. The bartender is always smiling and very friendly and the pinchos are delicious! Definitely a must in Valencia! In the district Cabanyal you can find the oldest tapas bar of Valencia: Casa Montaña. It opened its doors in 1836 and has always been one of the most popular tapas bars in Valencia. Casa Montaña is a very typical Spanish bar with wooden tables and wine barrels. It has a very good atmosphere and tasteful tapas. Enjoy! El Encuentro is located in the centre of Valencia, close to the square: Plaza del Ayuntamiento. I have already been there a few times because they serve high quality of food and have a wide choice for all tastes. For example: salads, croquettes and cheese and ham platters as starters, fish and meat dishes such as codfish and entrecôte as main dishes. After the dinner it’s time for some drinks. In Spain the nightlife starts late (about 1 o’clock), so it’s better to start the night with some drinks on a terrace. If you are staying in the neighbourhood El Carmen it’s nice to go to Carmen Polo Terrace. This is a roof terrace on the fifth floor of the Hotel del Carmen. It’s a nice place to drink some cocktails with relax music on the background. Another very nice place to have some drinks is: Mercat de Colón. It’s a beautiful building, which used to be a food market. Nowadays you can find several gastronomic places inside. For a Valencian beer you can go to Turia and for an extensive gin menu you can go to La Mie Dorée. If you are staying in Ruzafa it’s nice to go to Café Berlin and H2ÖL with self brewed beers. After having some drinks, you can go for a dance in some bars around Plaza Tossal. For live music and a relaxed environment you can go to Radio City, for a good atmosphere, nice music and cocktails you can go to Fox Congo. From about 02:00 o’ clock you can go to the bigger clubs. A must-see club in Valencia is: l’Umbracle. This club is located in one of the buildings of the City of Arts and Sciences. It’s really amazing to experience! 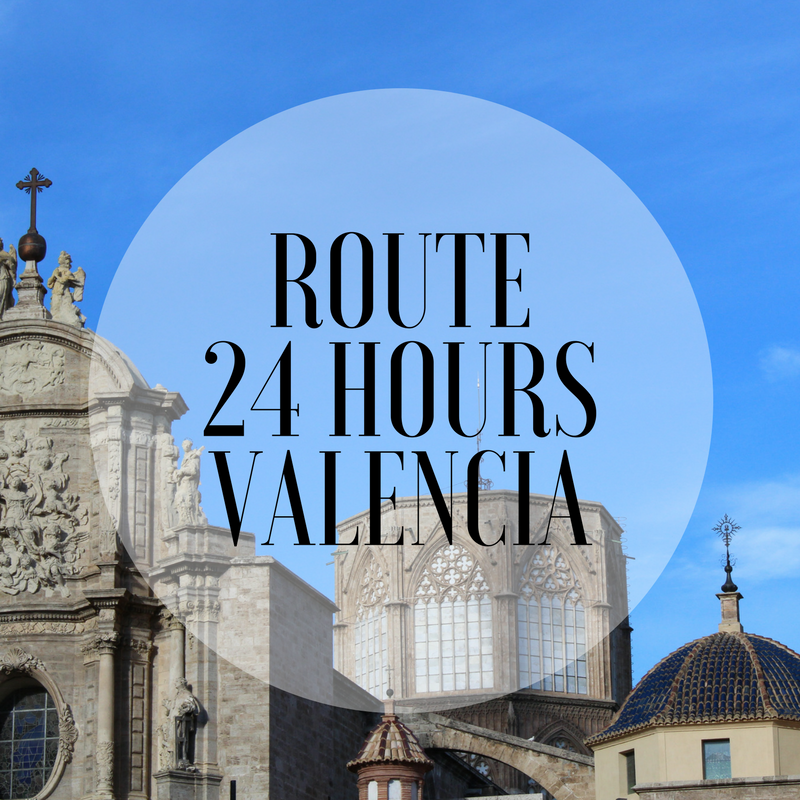 These were my tips for your 24 hour visit in Valencia. 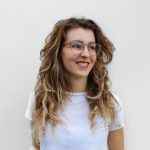 I hope you will enjoy my personal recommendations!